The Water Lily Room is warm, sunny second floor guest room with a 19th century Renaissance Revival Queen size bed. There are two comfortable wingback chairs to sit in and relax while watching the over-the-fireplace 32" smart TV or while reading a book. 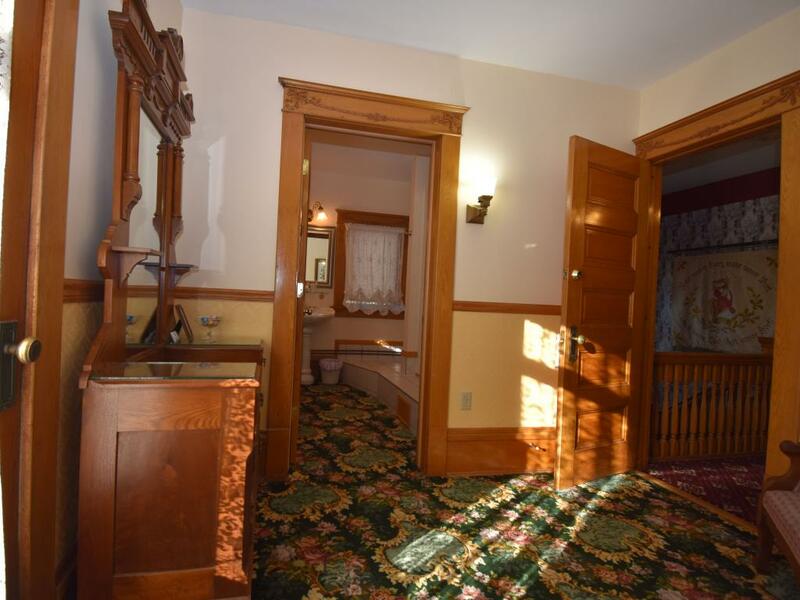 The room has a private attached bathroom with double whirlpool bathtub and separate corner shower. 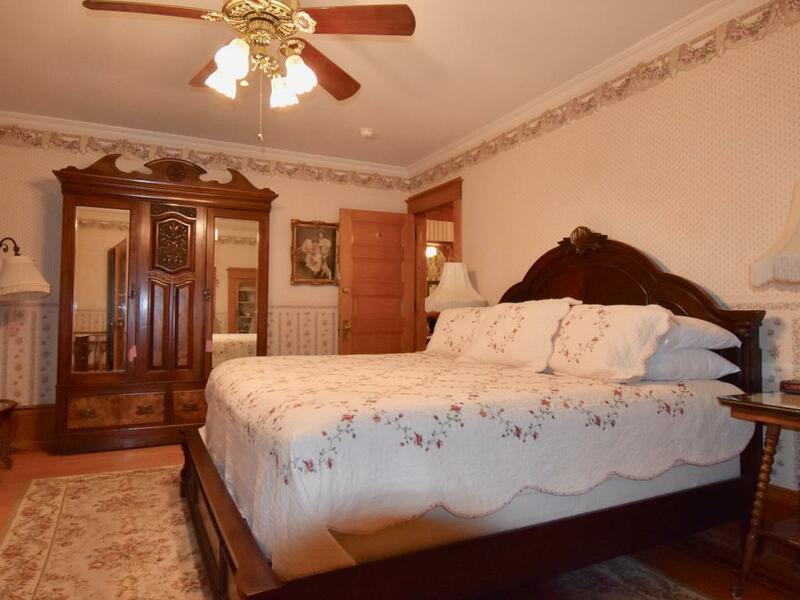 Shared refrigerator with complimentary water and soft drinks and iron/board are available just outside the room. 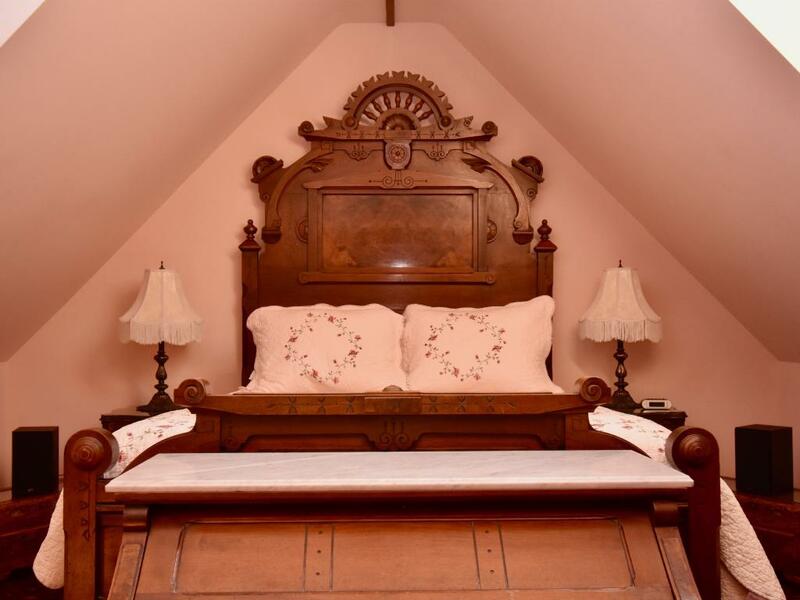 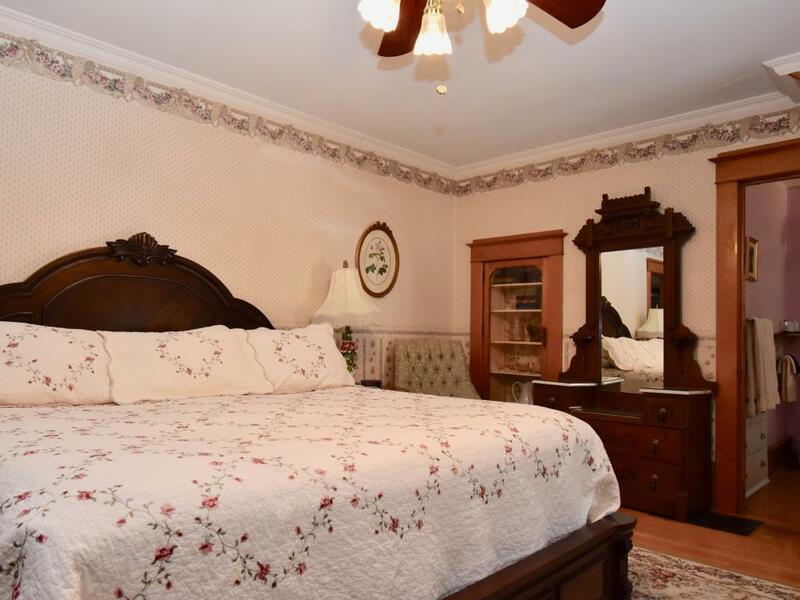 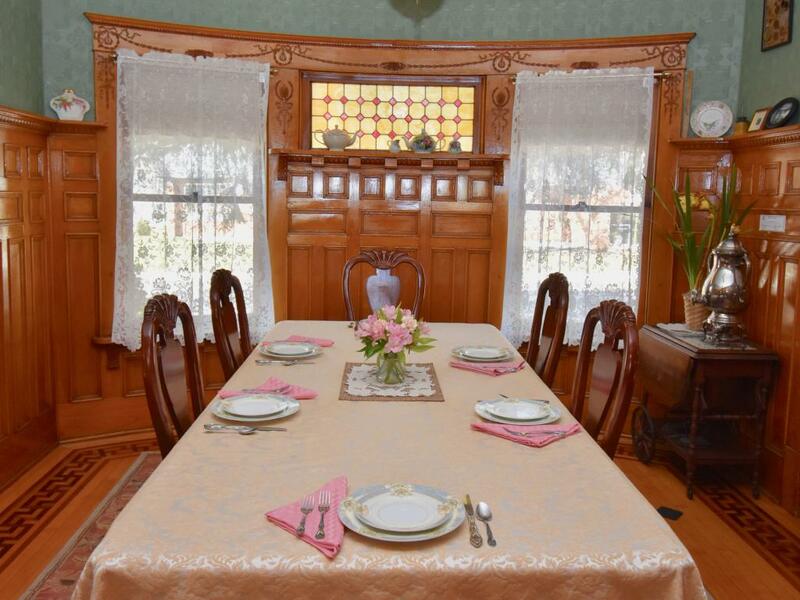 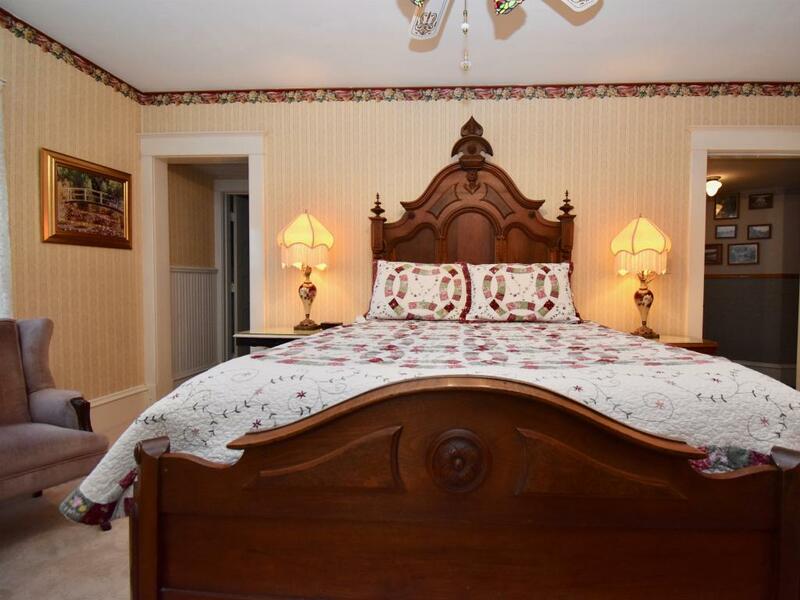 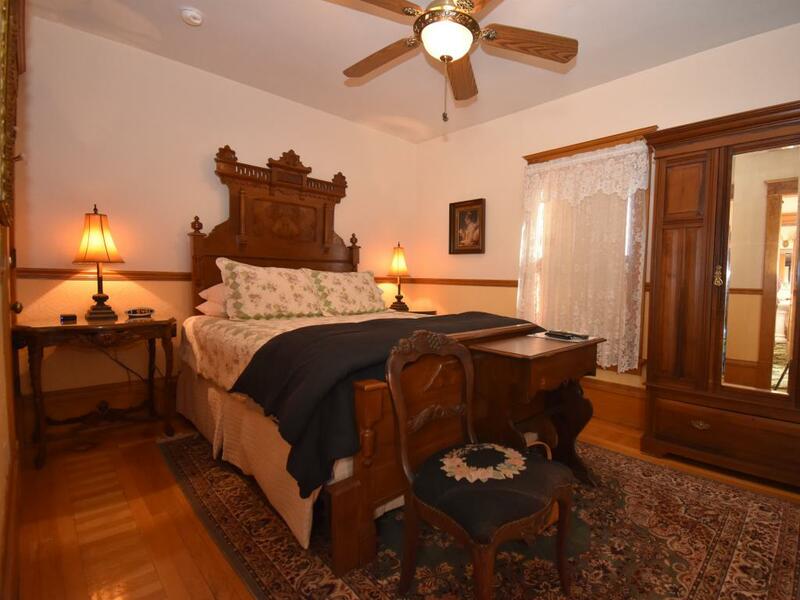 The Turret Room is a bright and cheery room located on the 2nd floor with a Queen size antique walnut bed. The room has a 32" smart TV with cable channels and complimentary Netflix account. 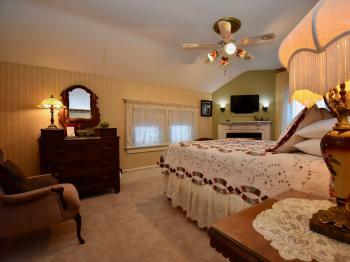 There is an adjoining room with seating and a private outside balcony to stargaze on a summer night. 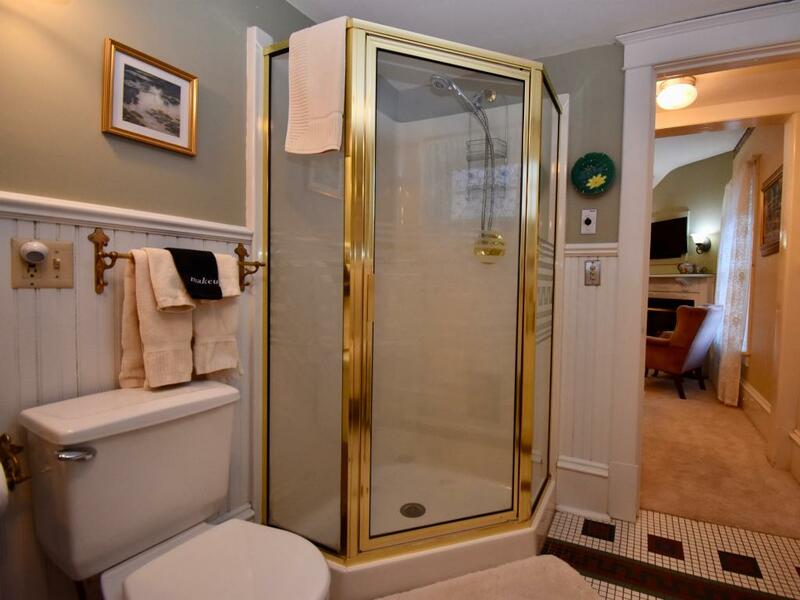 The room has a private bathroom with a double shower. 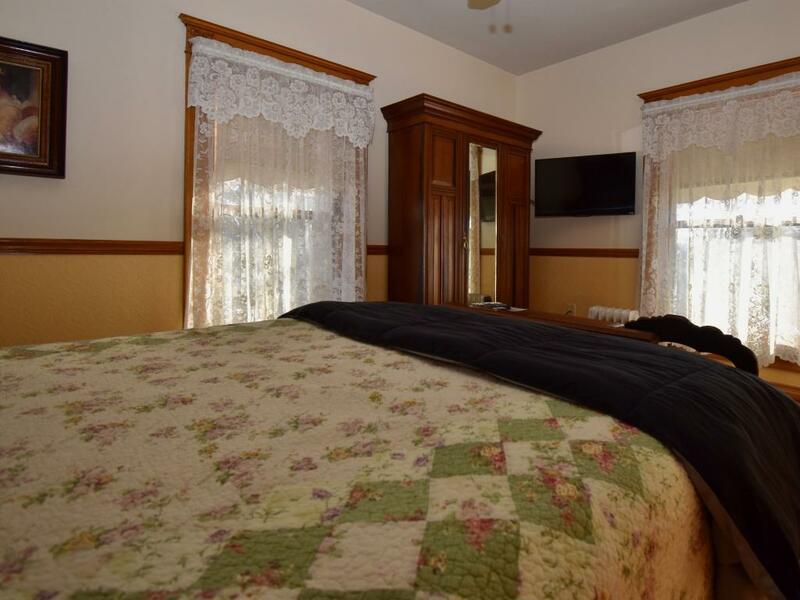 There is a shared refrigerator with complimentary water and soft drinks at the end of the hallway, as well as an iron and ironing board for your use. 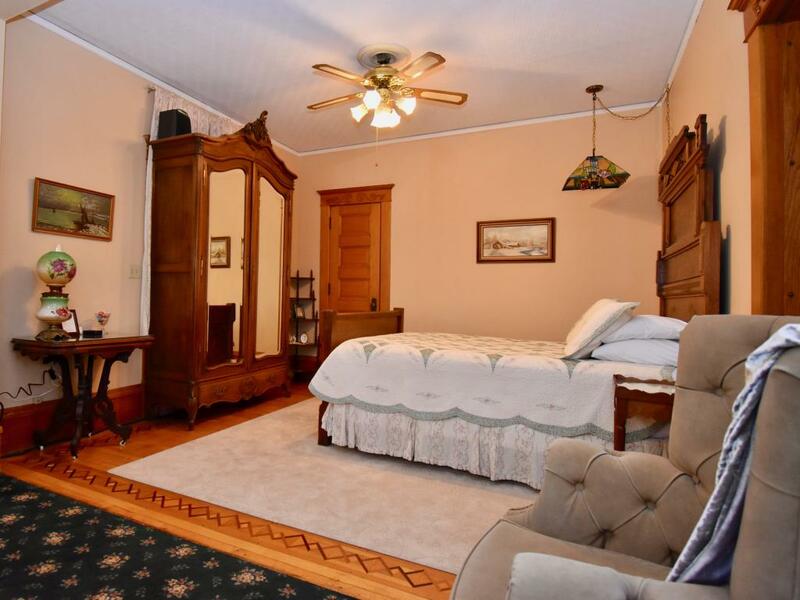 The Blue Room is a quaint 2nd floor silver-blue room with an ornate antique Queen size bed. 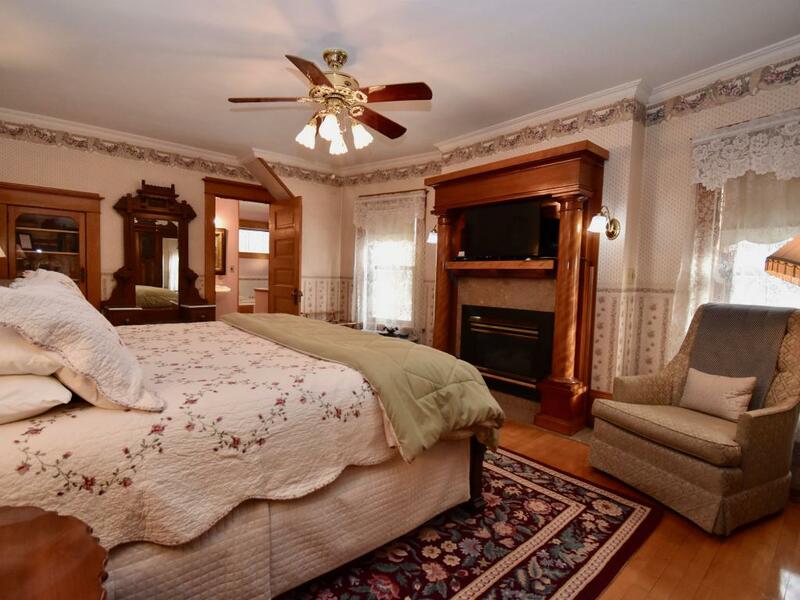 Mounted over the beautiful fireplace, there is a 32" smart TV with cable and complimentary Netflix account. 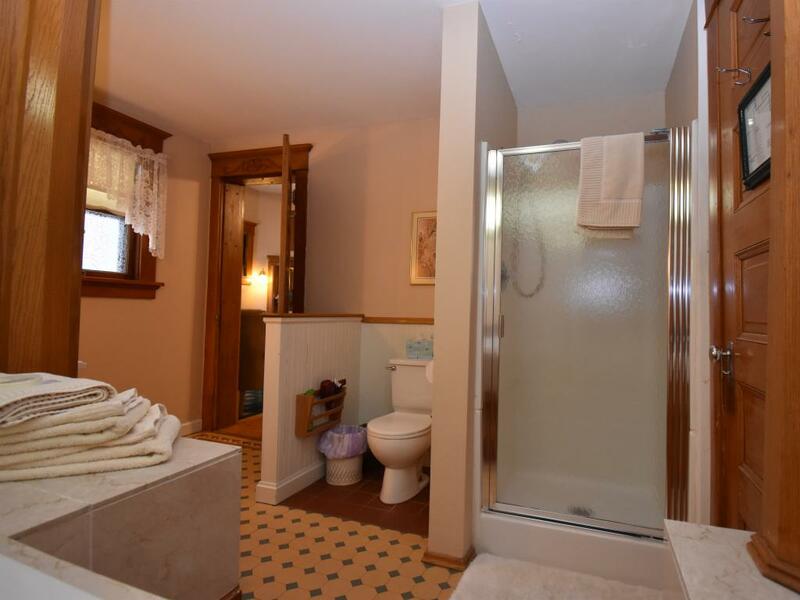 The private attached bathroom has a large whirlpool tub/shower combination. 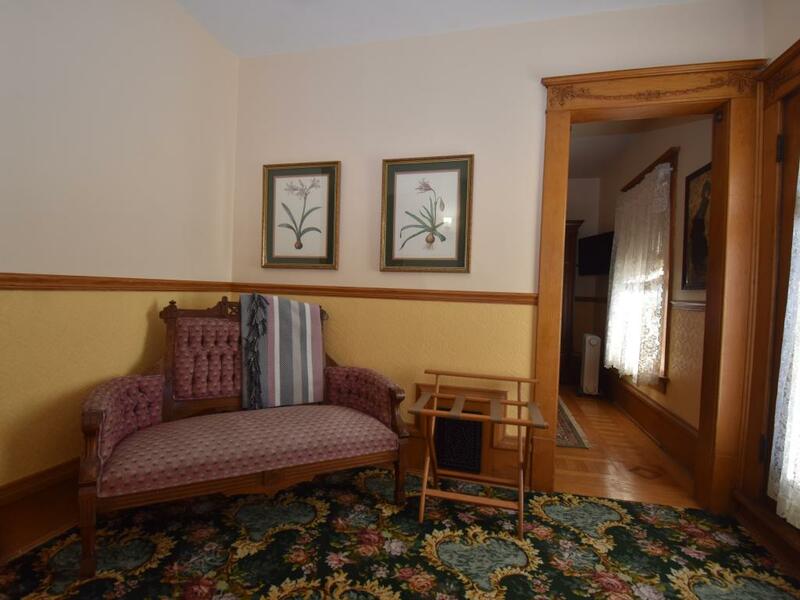 A shared refrigerator with complimentary water and soft drinks is right down the hallway. 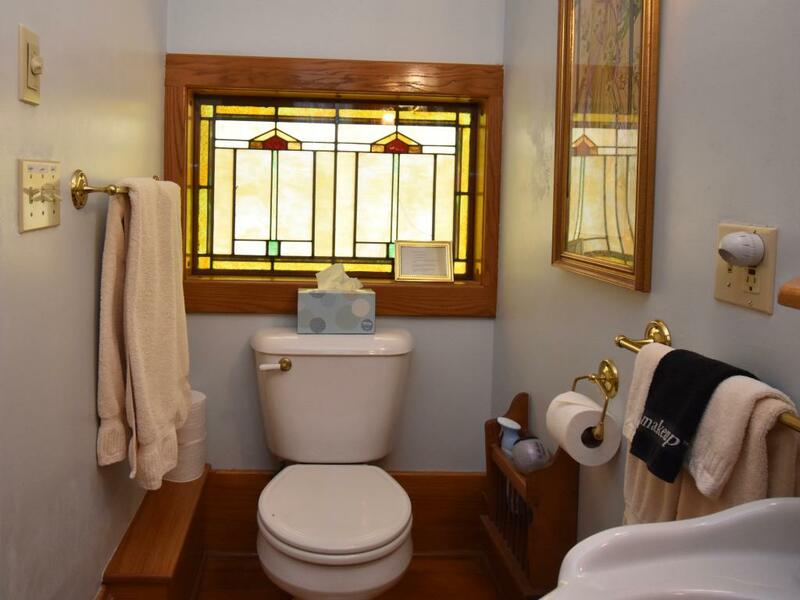 as well as an iron and ironing board for your use. 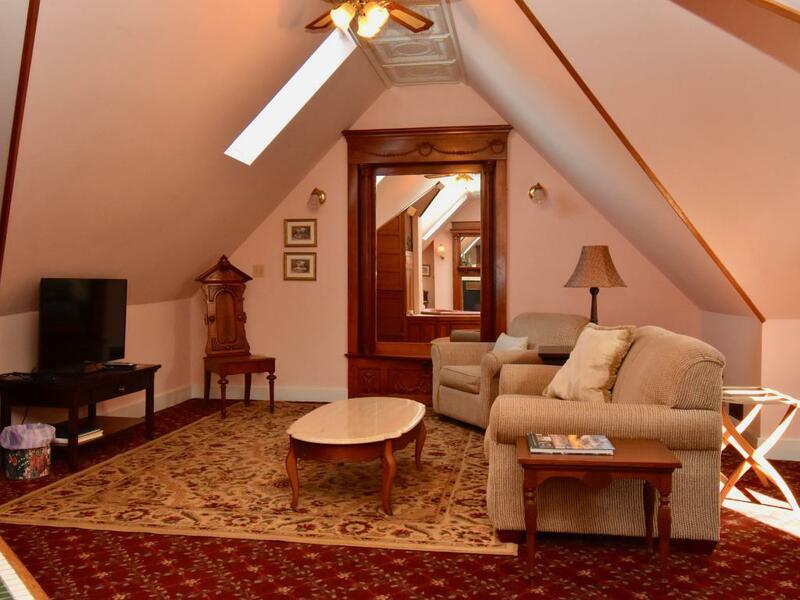 The Gazebo Room is a very private room located on first floor with its own porch and entry. 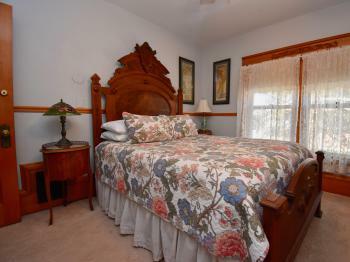 The room has a Queen size Eastlake walnut bed and comfortable sitting area to enjoy the corner fireplace. 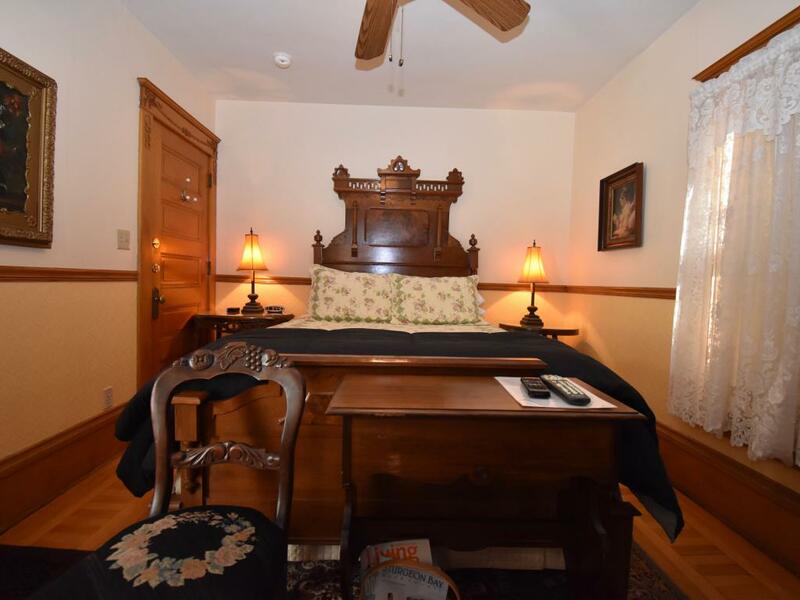 There is a 32" smart TV with cable and complimentary Netflix and In-Room refrigerator. 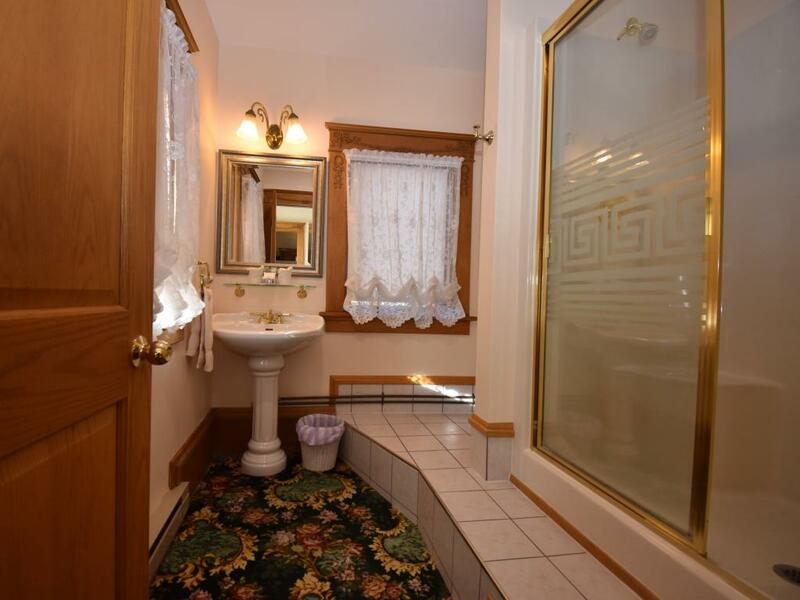 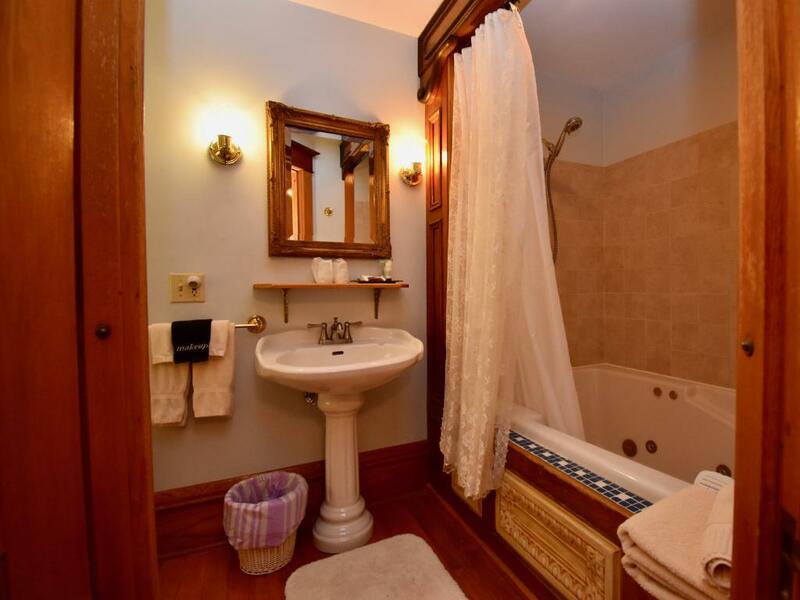 The private attached bathroom has a large double whirlpool tub and separate shower. 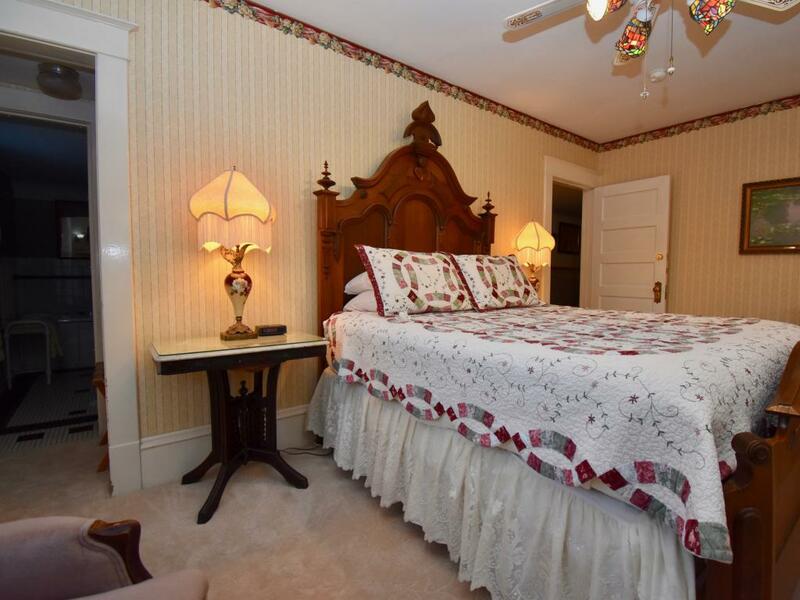 The Rose Room was the original Master Suite for the Scofields. 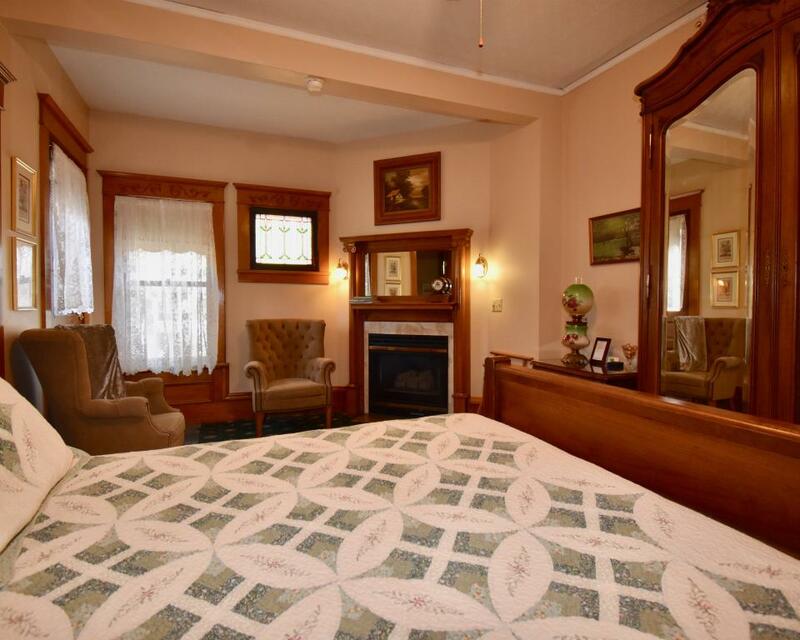 This large comfortable room is on the 2nd floor with a King size bed, 32" TV with cable and complimentary Netflix and columned fireplace. 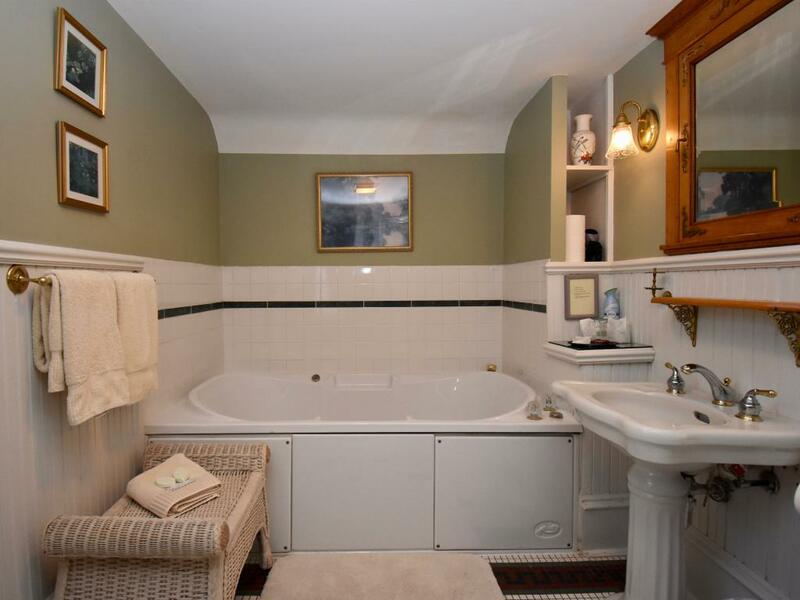 The private bath has a large double whirlpool tub and separate corner shower. 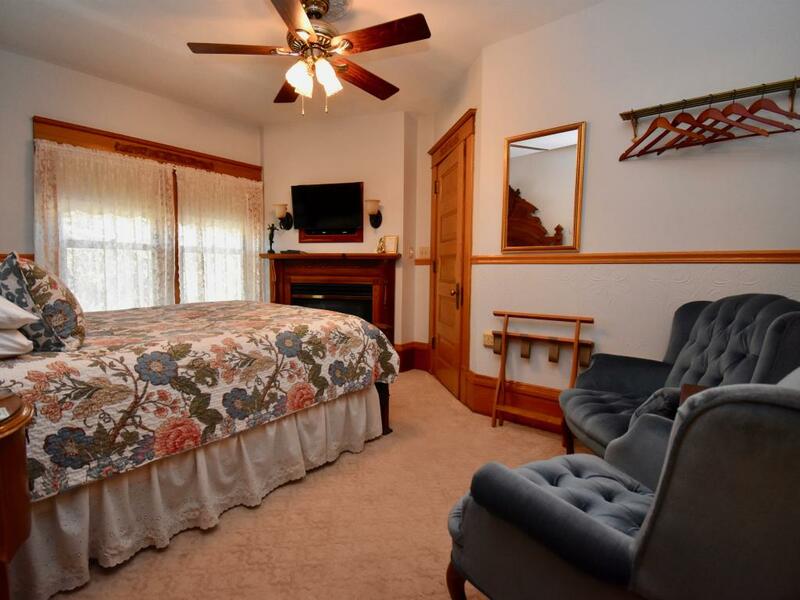 A shared refrigerator with complimentary water and soft drinks is just down the hallway, as well as an iron and ironing board for your use. 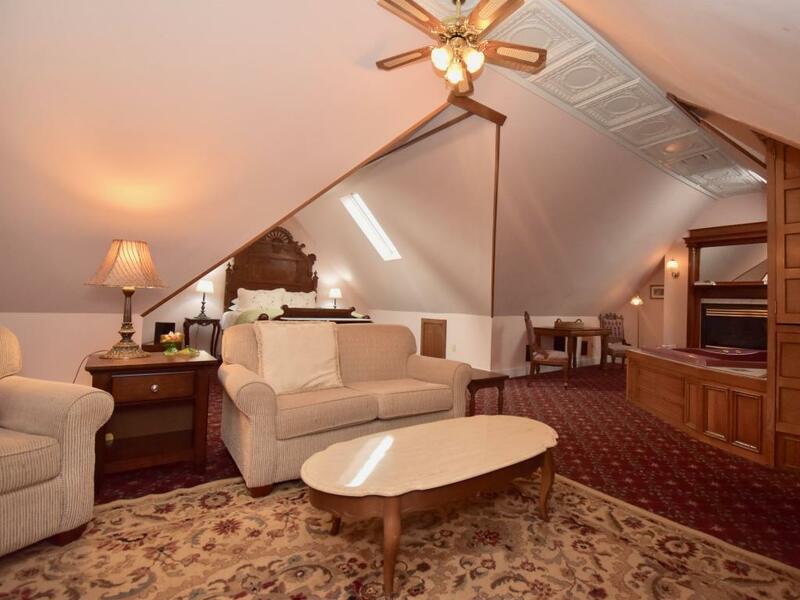 The entire 3rd floor of The Scofield House has been transformed into this "Room at the Top" private suite. 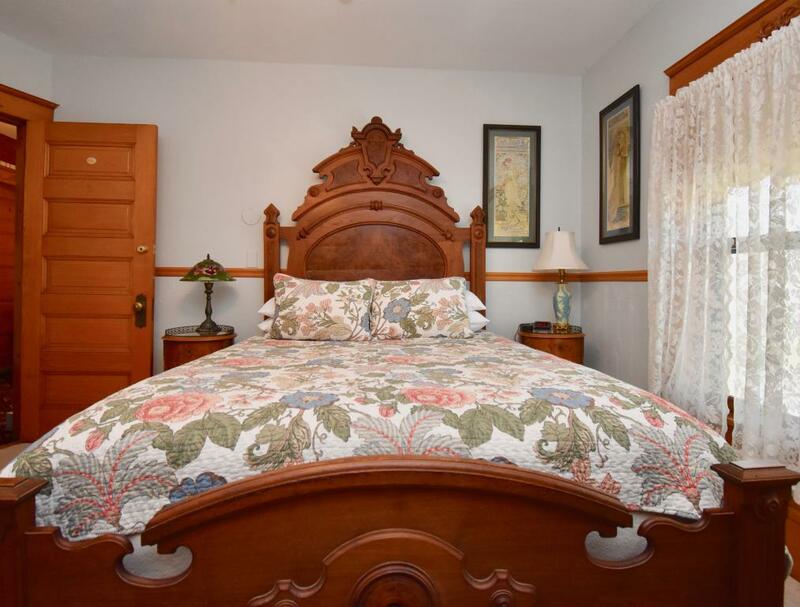 The bed is an 1860s Eastlake Queen size walnut bed. 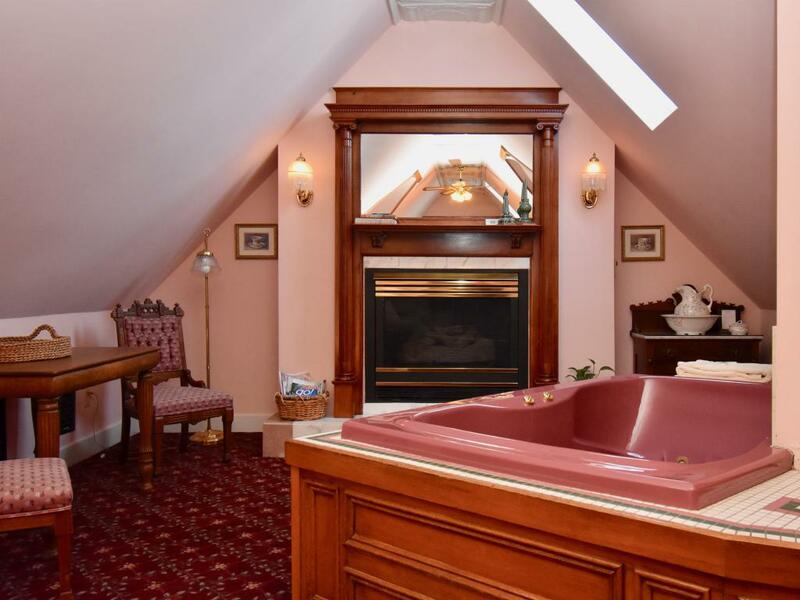 The fireplace warms the side room which includes a double whirlpool bath. Skylights keep the suite bright with natural light. A side room with love seat and comfortable chair are available for watching the 43" smart TV or complimentary Netflix. 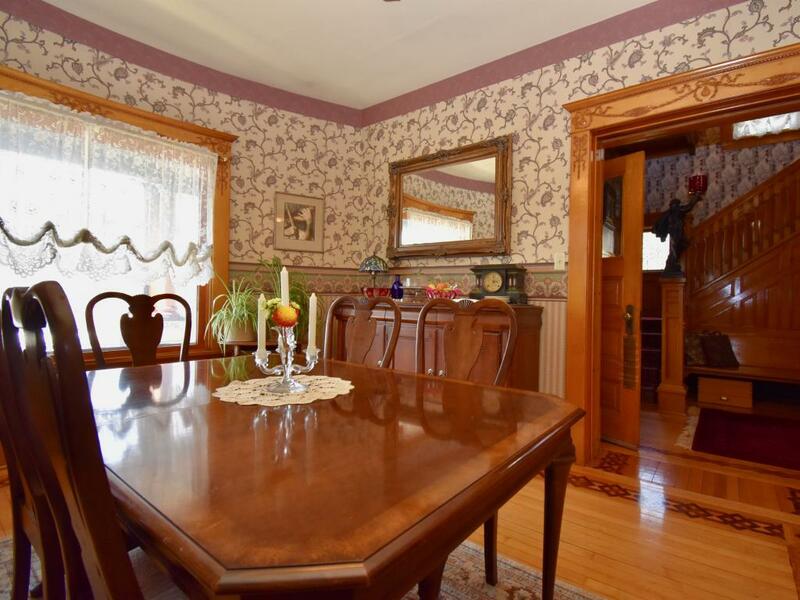 A wet bar, coffee maker, and refrigerator are provided for refreshments throughout the day. 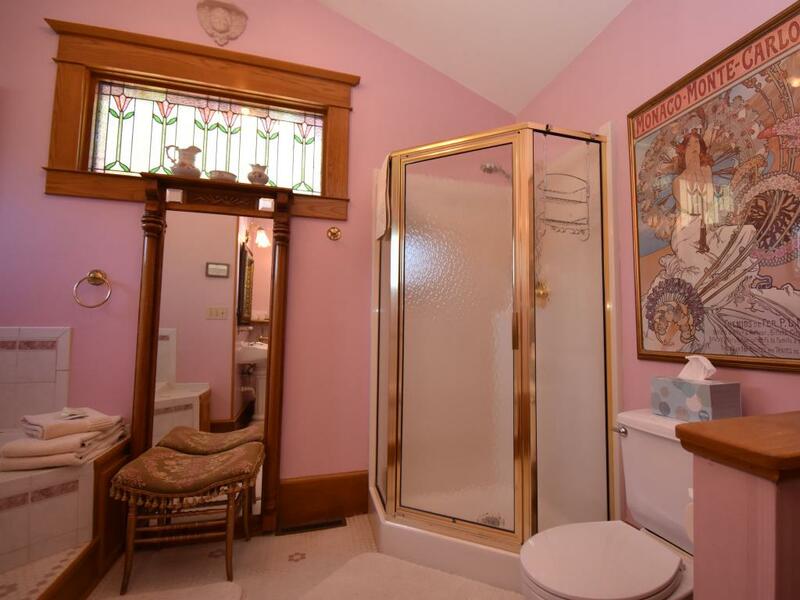 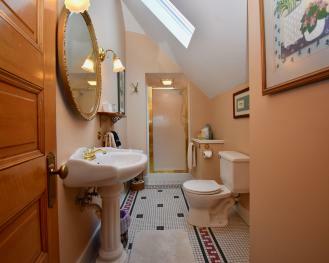 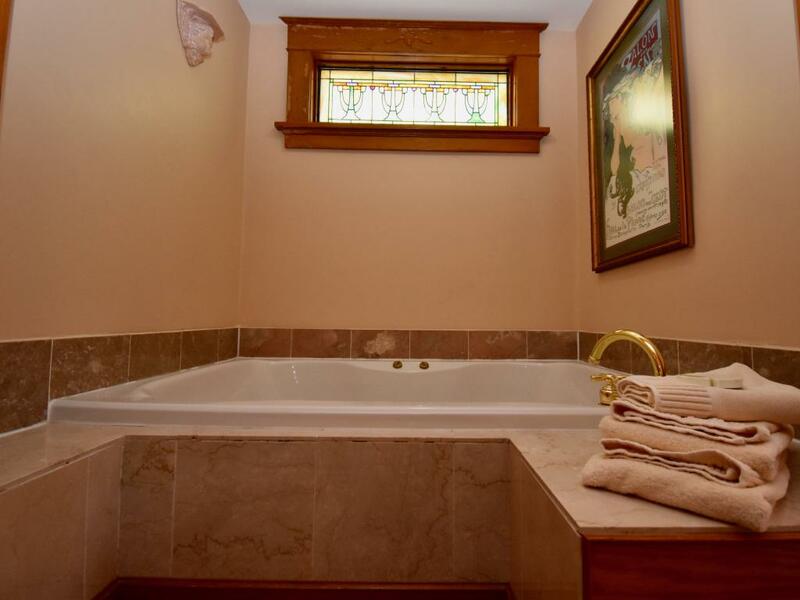 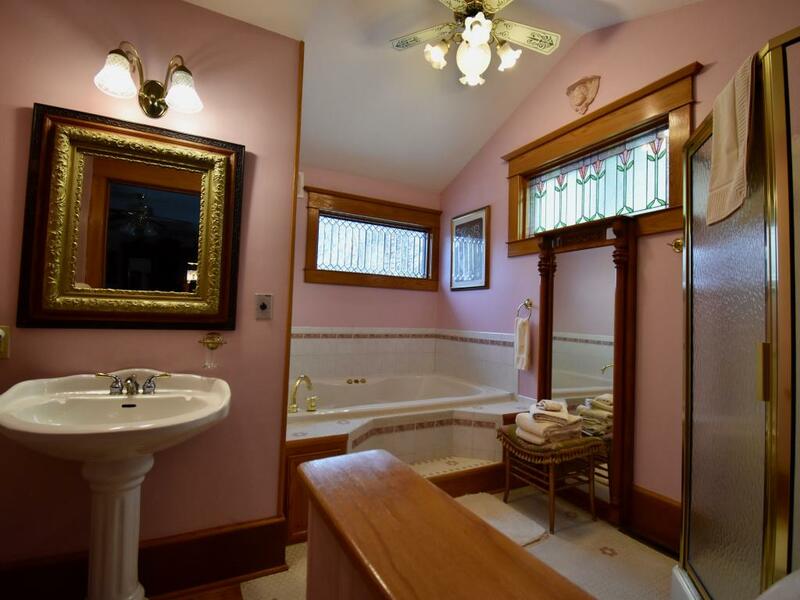 The private attached bathroom features a shower and skylight. 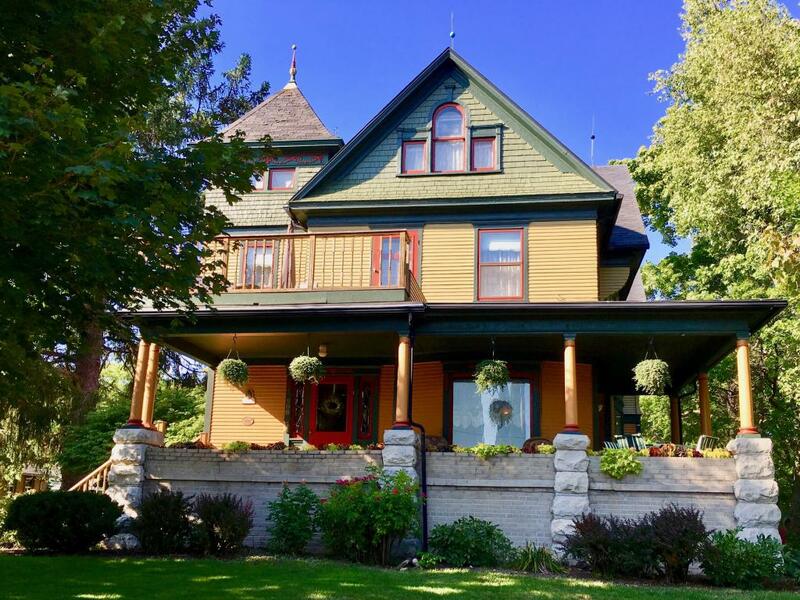 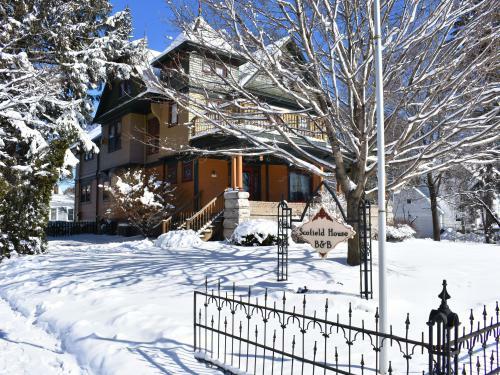 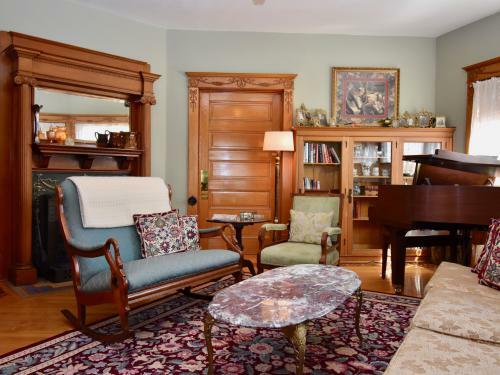 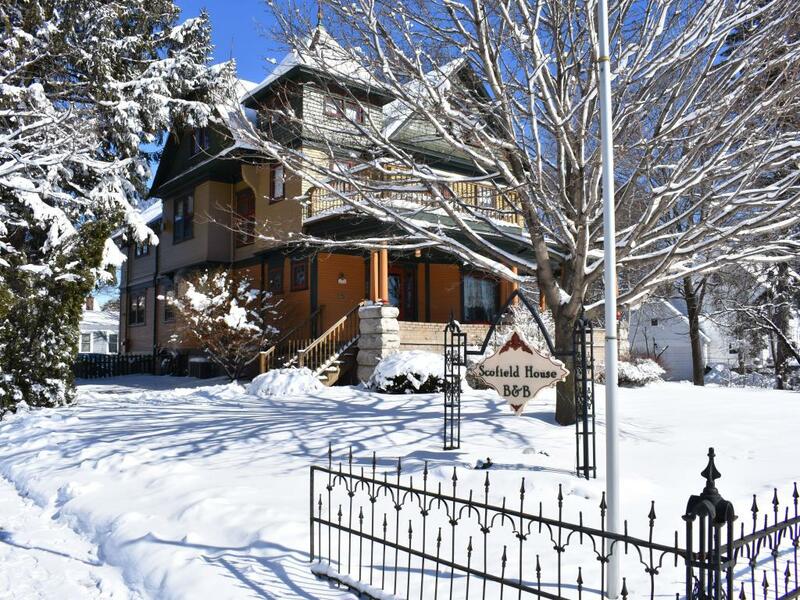 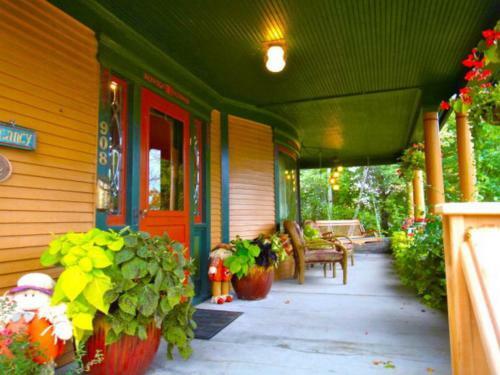 Historic home combining Victorian elegance with contemporary comfort located within walking distance to shopping and dining in downtown Sturgeon Bay. Guest rooms feature private bathrooms with whirlpools, fireplaces and wireless internet with cable TV and Netflix. A full home-cooked breakfast is served each day with accommodations for dietary needs. 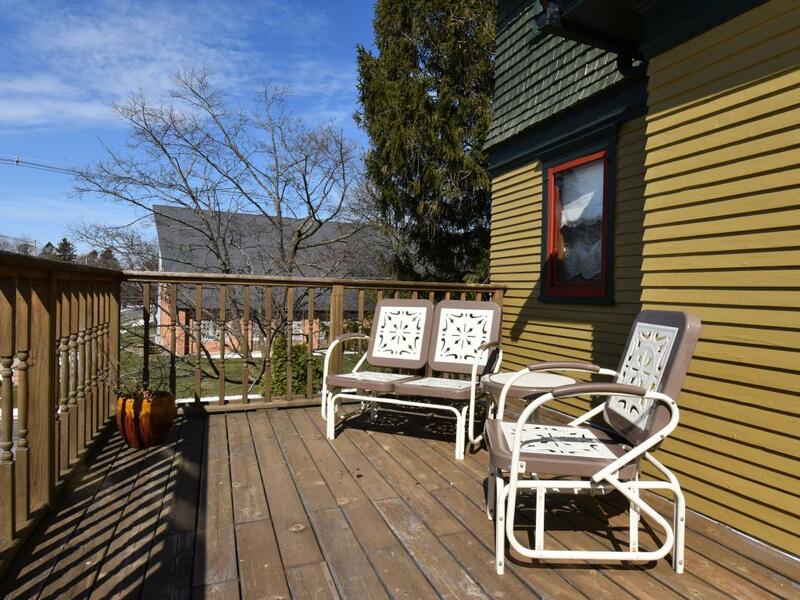 Open year-round with special rates for Quiet Season and whole house rentals. Pictures and more details can be found on our website or call us to discuss your vacation in person.